Northern Ireland’s Montel drops three house tracks on Leftwing & Kody’s Lost Records with a remix from Philip Bader. 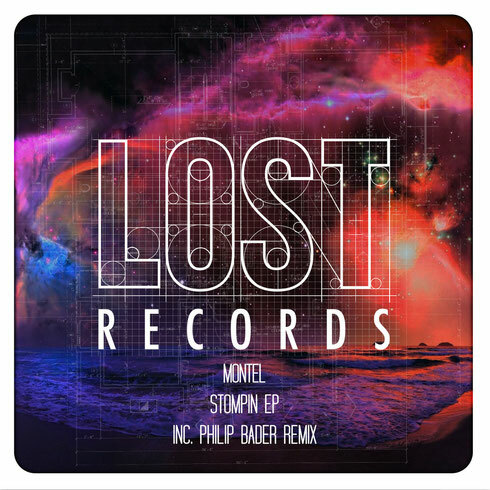 Emerging in the summer of 2012, Montel quickly garnered support from the likes of Bicep, Jordan Peak and Waze & Odyssey, and has since gone on to release on labels such as Hot Since 82’s Knee Deep In Sound, Matt Tolfrey’s Leftroom, Toy Tonics and Let’s Play House. He made his first appearance on Lost Records earlier this year, with ‘Jumpin’ as part of the Lost Summer Selection, and now ‘Stompin’ marks his full debut release on the London-based label. The track lives up to its name with heavy kicks as background sirens, vocal coos, drum rolls and a fuzzy square wave bassline complete the mix. Next, ‘Hear Me’ is more understated in nature, focusing on a low-slung groove as offbeat percussion and dusky atmospherics are broken up by breakdowns featuring 303 licks and soft pads. Geared for peak time madness, ‘Gotta Be’ then unleashes a torrent of energy with its heady hook, female vox and catchy chords, before Philip Bader concludes the release with a bass fuelled remix of ‘Hear Me’.